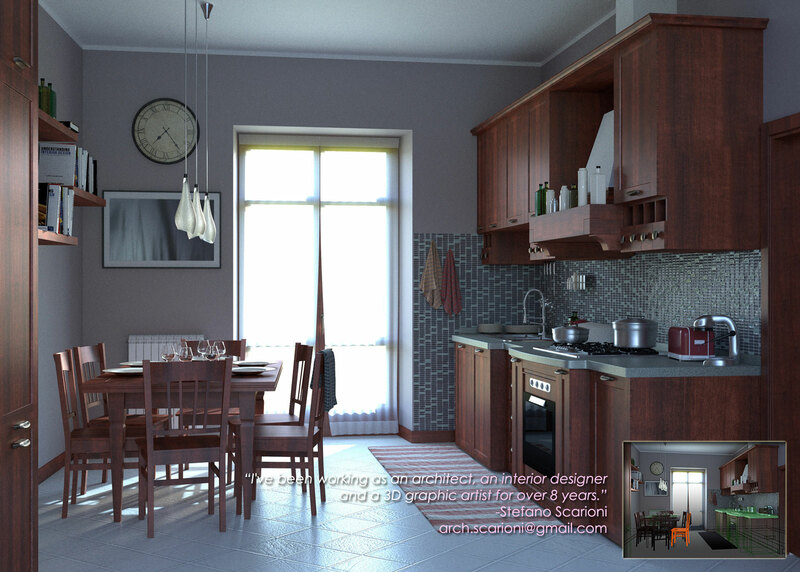 I've been working as an architect, an interior designer and a 3D graphic artist for over 8 years. I started using Blender as a hobby and in less than 1 year it has become my primary working tool, with professional results and satisfactions. This is a render made for a client who wanted a preview of his purchases (kitchen, table and chairs) inside his new house. I did not have any say about the materials, the kitchen model and distribution of space, just had to make a nice looking render.